Mmmmm, is there truly a better smell and taste out there than just cooked bacon in the morning? 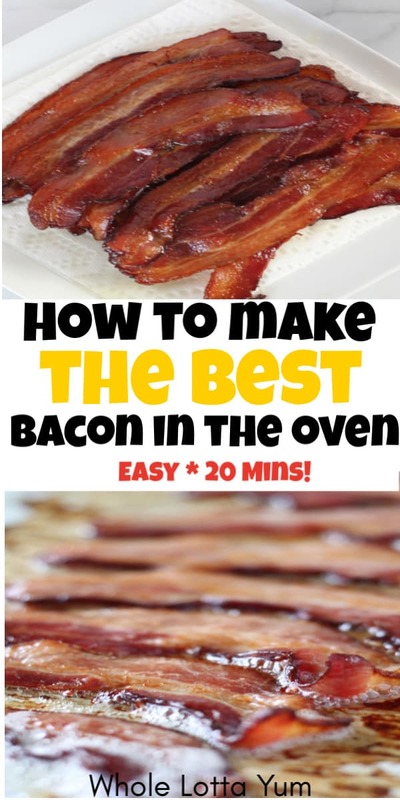 Whether you prefer your bacon nice and crisp or if you like it a little softer, baking bacon…..I’m fairly certain….will become your favorite cooking method too! I have to admit we are complete bacon lovers and eat it way more than we possibly should. Cooking bacon in the oven makes it so simple to enjoy our favorite food even on busy, rushed weekday mornings. If you’ve been wondering how to cook bacon in the oven, we’re here to show you the easiest method. 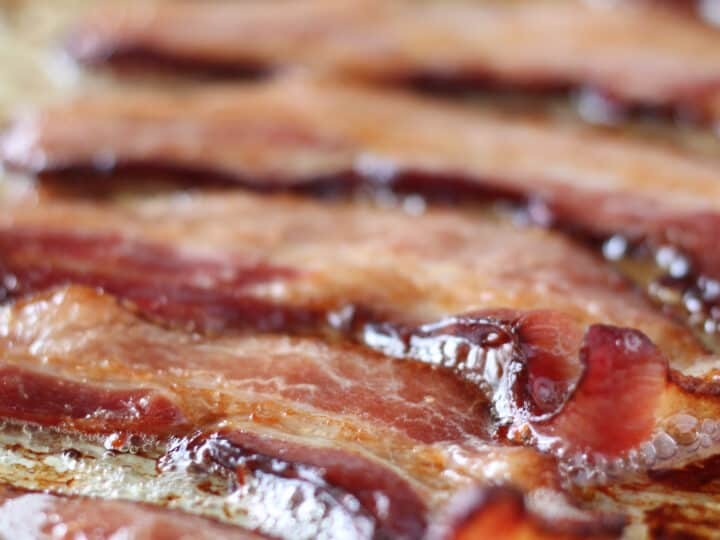 To make oven baked bacon, you mostly just need one ingredient….the bacon of course! Our favorite is an apple wood smoked kind we get from our grocery store meat counter. Feel free to use whichever bacon is your favorite for this recipe. We’re such a bacon obsessed family, we could honestly make bacon every single day of the week. Our most common way to cook bacon is without adding a sprinkle of extra seasoning. We usually save the extra kick for a special brunch or holiday breakfast. Here’s a list of our favorite kitchen supplies for cooking bacon in the oven. The only one technically required is a baking sheet, but the other items just make the job even easier. There’s a few things to know before you start cooking bacon in the oven. 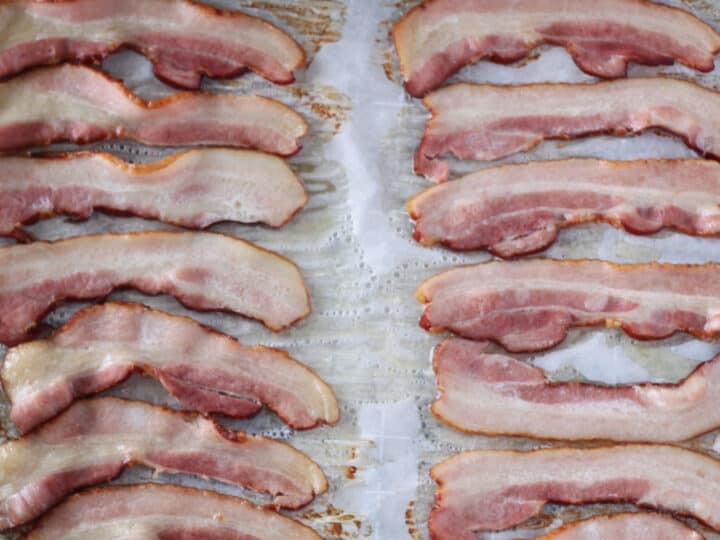 The thickness of your bacon can impact how long it takes your bacon to cook. Even purchasing brand name packaged bacon seems to vary in thickness from week to week when we purchase it. Clearly, the thicker your bacon the longer it will take to cook. 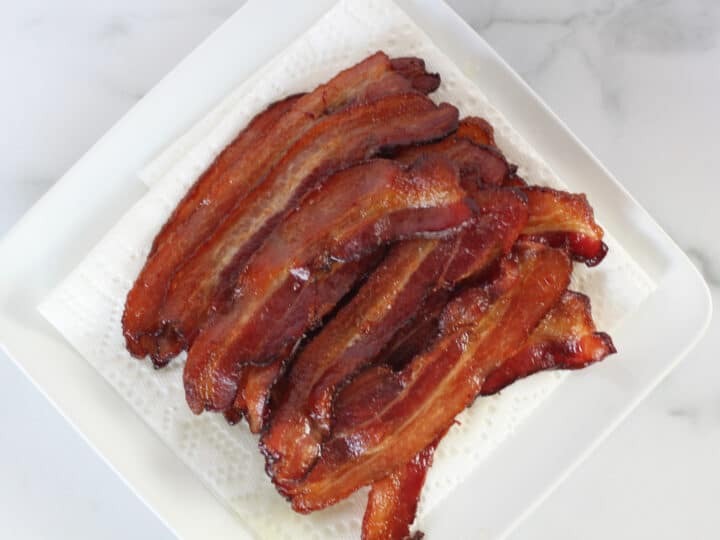 We highly recommend the first time you go to cook oven baked bacon, to keep a close eye on it to make sure it doesn’t burn and to also get the feel for how long it takes to cook your favorite brand of bacon. The other important tip is that whether or not you use a baking rack to put your bacon on will determine whether or not your bacon turns out crisp or soft. Do you prefer crisp bacon or soft bacon? Whether or not you use a baking rack will determine whether your bacon turns out really crisp or whether it’s soft-crisp. This is a constant debate in our home, I prefer really crisp bacon but my husband prefers soft cooked bacon that’s slow cooked in it’s own grease. So whether we use a baking rack when we cook our bacon truly depends on who is making it that day. The downside of using a baking rack for making oven baked bacon is that the rack is a little messy to clean up afterwards. I’m going to fully admit that although I prefer crispy bacon, sometimes I skip the rack simply because I don’t want to clean it. 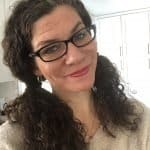 To rack or not to rack? Which way do you think is the best way to cook bacon? Preheat your oven to 375 and move your oven rack to the middle position. We love to line our baking sheets with parchment paper, it really makes for an easy clean up! This isn’t a required step, but if you have it on hand I’d recommend adding a layer of parchment paper to the pan. Lay the bacon in strips on the pan, making sure not to overlap and crowd the bacon pieces. 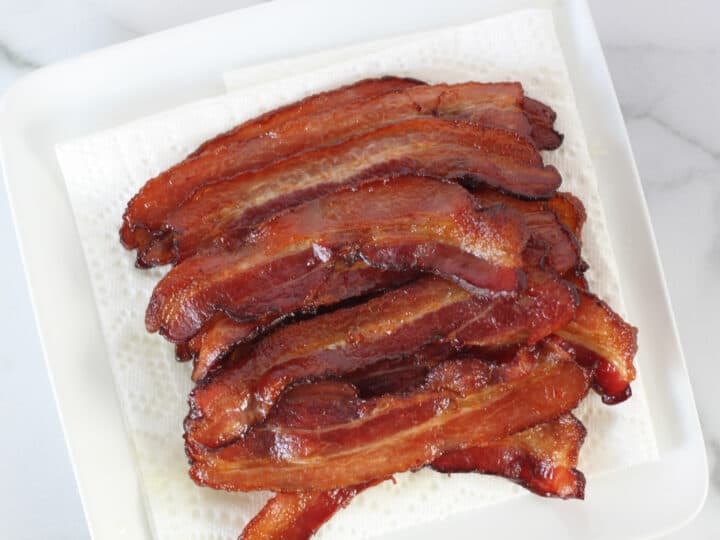 Of course if you’re using a rack to make crisper bacon, you’ll want to put the bacon directly on the rack instead of laying it on the parchment paper. Cook your bacon for 10 minutes and then check it for doneness. When we buy really thin bacon, it might even be done to your liking at this point! Most likely it’ll need to be cooked a little longer. We like to flip our bacon when it’s getting slow cooked in the grease and then cook it an additional 8-12 minutes, depending on the preferred degree of doneness. Remove from oven and place between two sheets of paper towels to help absorb the kitchen grease. Serve immediately and enjoy! I’m sure you’ll agree that making bacon in the oven is the best way to cook bacon! Cooking bacon in the oven is the easiest and best way to make bacon. You'll never go back to frying bacon once you learn this easy method. Cook the bacon for 10 minutes and check for your preferred degree of doneness. Flip the bacon over. Cook for an additional 5-10 minutes, depending on the thickness and how crispy you prefer your bacon. 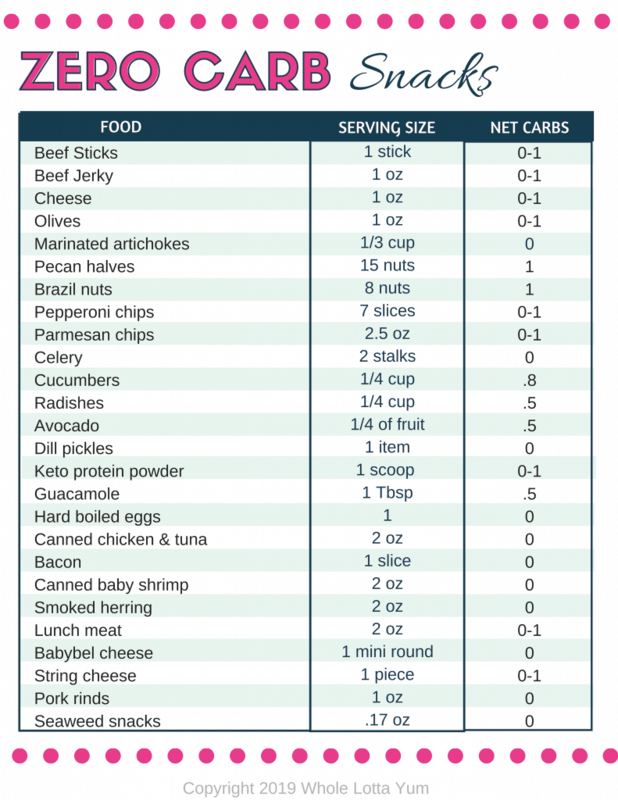 The nutritional information should be considered an estimate and can vary based on the brand of bacon you purchase.